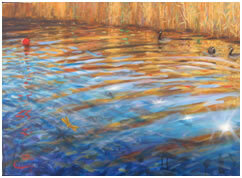 This class is a studio course in oil painting for adults and teens ages 12 and older. Students will learn techniques, materials and substrates of classical, Old Masters, and contemporary oil painting, and will work from still life set ups, although working from a photo reference will be accommodated and used to its greatest benefit. The prime goal of this class is for the student to have a hands-on under-standing and familiarity with the media, ultimately to find their own style and voice. Sven Widen was born in the town of Vastervik, on Sweden’s east coast. Much of his art studies took place in Gothenburg; the School for Industrial Art & Design, Kursverksamheten; Gustavus Primus Art School; Hovedskou Art School; and Studio Litografik. Sven also received scholarships to several juried invitational courses where he studied advanced lithography and intaglio printmaking. In the early 1990s, he moved to the United States after meeting artist Lizzi Schippert. They married in 1990 and reside in Island Heights, NJ. Sven and Lizzi have led Plein Air Workshops in New Jersey, Maine, Vermont, and Florida, as well as France and Japan. A career professional artist, Sven’s work was avidly collected and hangs in many governmental collections in Sweden. In the USA, Sven has had several one-man, group, and invitational shows. 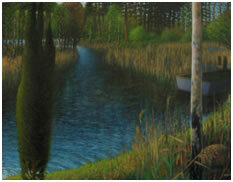 His work hangs in many private and corporate collections as well. Dates: Class is offered continuously throughout the year in 4 week sessions. Click to print a registration form.